'Tribal Fence' is a cover of the Freedoms Children track from the album Astra. 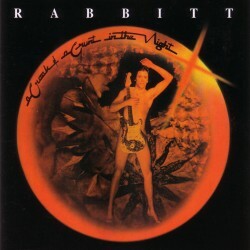 The Rabbitt version features the incredible vocal talents of Margaret Singana, who was the lead singer on The Warrior album by Ipi 'N Tombia in 1973. Trevor has worked with Margaret on a number of her albums. Margaret Singana also recorded a very powerful version of 'Tribal Fence' which is available on the Lady Africa compilation CD. The Rollers re-recorded 'Working For The People' in 1980 (on 'Voxx'). Similarily, Rabin re-did 'Hold On To Love' as 'Hold On To Me' for his 1989 solo album 'Can't Look Away', which featured Duncan Faure on backing vocals. 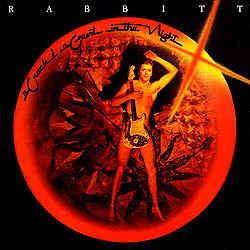 I was a little young when Rabbitt were at their peak and had not yet developed an interest in music. All I remember about them was my grandmother complaining about the racket these long haired boys were making when they appeared on Pop Shop. So when I came across "A Croak.." about a year back, I though I'd better check out what the fuss was all about. My initial reaction was that they are not as hard rock as I expected. There are hints of Jazz in the intro to "Everybody's Cheating" but the over all feel of the album is one of 70's glam rock which I suppose it was. The use of the piano on a number of tracks is reminiscent of Billy Joel and Elton John of the same era. There are some nice rock ballads and some quite tuneful pop numbers some almost Beatles-esque. One highlight for me is the cover of Freedoms Children's "Tribal Fence" where they are joined by Margaret Singana. It is a up tempo version and one I find less "busy" than the Freedoms Children version, but does not have the same depth as the original. "A Love You Song" is the vehicle for a great guitar work out for (I presume, as the album I bought didn't have any sleeve notes) Trevor Rabin and is the other highlight of the album. You can see why supergroup Yes took him on. Overall this is a solid album but I must say that I was a little disappointed. I guess you had to be there to have really appreciated this, or maybe my grandmother just psychologically scarred me for life.